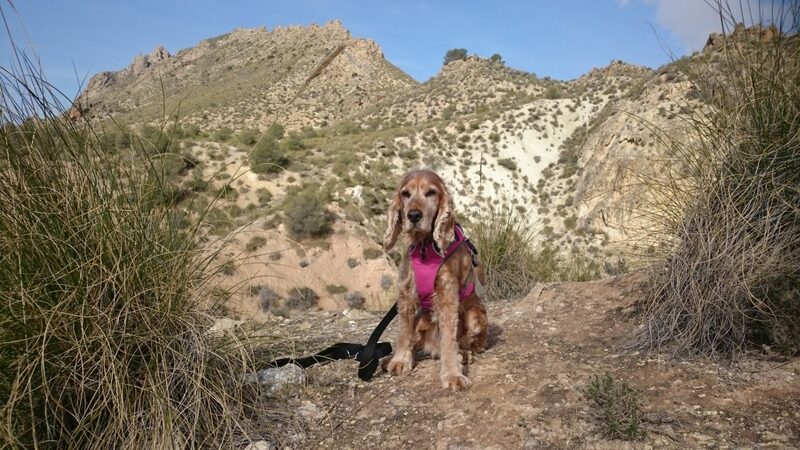 Last year, 2017, I went on a fantastic three-month long Spanish Roadtrip with my Cocker Spaniel, Daisy. It was the inspiration behind my decision to pack up and head off for good the following year. We choose to drive from Scotland down to Portsmouth, that was actually the worst part of the journey. UK roads are a nightmare! We then got the Ferry from Portsmouth to Le Havre in France and travelled down through France into Spain. 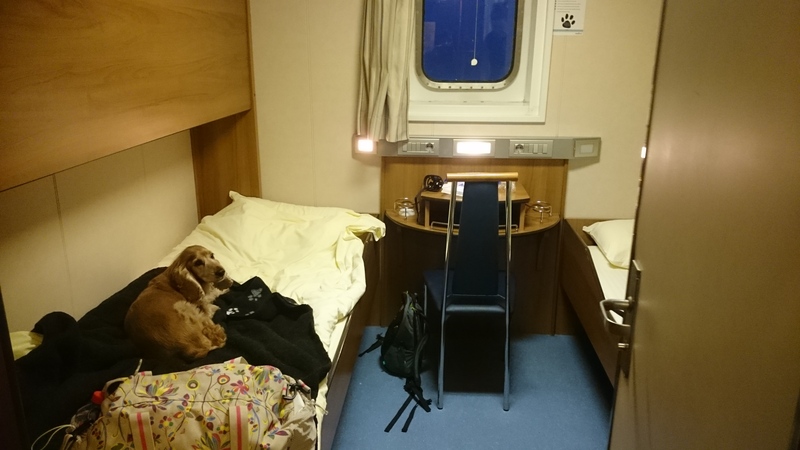 We used Brittany Ferries and booked a dog-friendly cabin. Only certain routes with Brittany Ferries allow dogs in cabins and during peak season they are reserved quickly so plan in advance! Our cabin slept four and had its own en-suite bathroom with shower. We found it basic but clean and comfortable and Daisy settled well despite all the ship engine noises and motion of the boat. Our overnight ferry was 8 hours long and cost £184. On the return journey, we booked a daytime ferry and it was five and a half hours long and cost £139. Dogs are only allowed in the cabins and in a designated small exercise area on deck. They are supposed to be muzzled when out in the public areas. I had worked on desensitising Daisy to her muzzle and we did keep it around her neck all the time, but we noticed no one really stuck with the muzzle rule when we were on board, it may be different depending on the staff on board and how busy it is. Daisy was not at all keen to go for a toilet break on the on deck exercise area. Make sure you try to give your dog an opportunity to go before you embark. We were thankful Daisy had a strong bladder, despite being an old lady! We travelled down through France and then spent over a month in Southern Spain. I love the Andalucia region. It is so much more than the golf courses and beaches of the Costa Del Sol that the sun worshippers flock too. 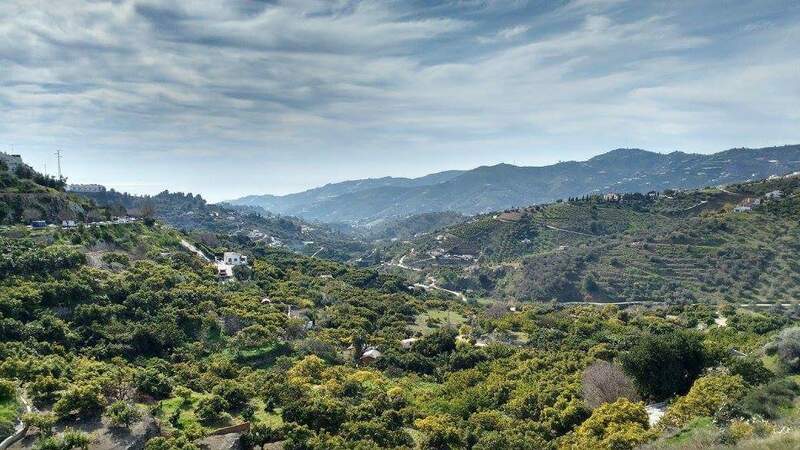 Even if you fly into Malaga (also worth spending time in the City which is often overlooked by the tourist throngs), hiring a car is recommended to allow you to explore. Below are some highlights/points of interest from our stay. Wow! 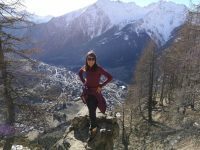 So many unspoilt, vast and mountainous areas to discover. There are also some deserted beaches too if you look hard enough. If you love getting out and exploring the countryside you won’t be disappointed! This was a favourite for Daisy ““ beautiful, open stretches of sand and it was completely deserted. Fun fact ““ it was where the scene with Sean Connery and his umbrella antics was filmed for Indiana Jones and the Last Crusade! We had Monsul Beach, famous for featuring in Indiana Jones and the Last Crusade, all to ourselves – Bliss! This was a highlight for us. 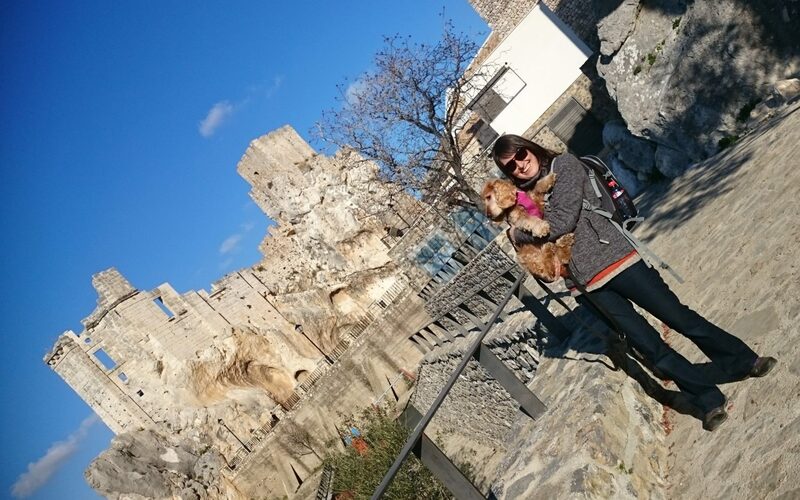 The drive up to the town of Alhama de Granada is a windy one, to say the least, but so worth it. This is a sleepy hilltop town in the Granada Province, it retains a really authentic vibe and it was beautifully peaceful both times we visited. It is a bit busier from June to October during the famous Thermal Spa’s opening season, but, even still, we believe it is one of the quieter towns to visit in the area. 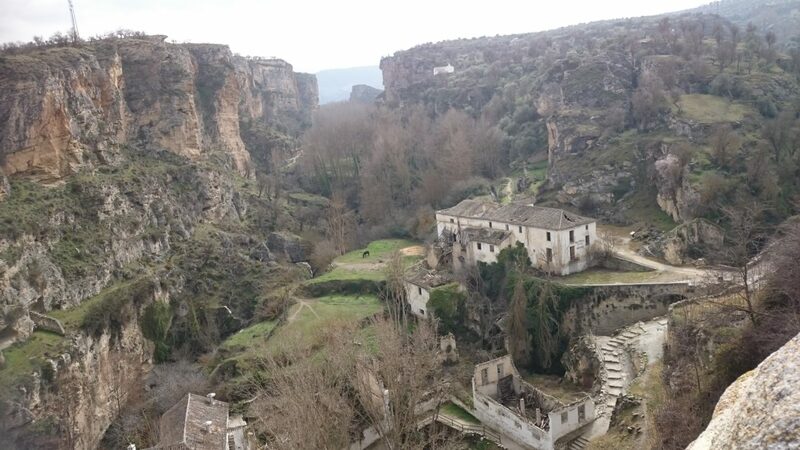 It is perched on the edge of a dramatic gorge and the views from the fortress walls down are spectacular. Both times we visited, we walked down into the Gorge. There are lots of ruins along the way to explore. Watch out for the Wild Goats if you have a dog! The first visit we had was unceremoniously cut short. Whilst, by this point, Daisy was totally deaf, I still let her off lead occasionally as she never strayed far and always checked in. I only did it in areas that were free of livestock and where I had clear views of the surroundings. 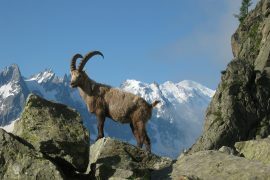 I, foolishly, decided to let her off on this occasion only to have a herd of wild goats spring out from behind a rock. She took off in pursuit. At 13 she was never going to catch up with them, but I was horrified at my mistake. By the time I caught her, I was a panicky and sweaty mess and the old lady had gotten her workout for the day, so we just headed back to the town for a much-needed refreshment! The second time I, of course, did not let her off! We visited when my parents were on holiday. We had a wonderful circular walk down into the gorge, then up and along the ravine edge on the other side. This afforded us amazing views back towards the town and the Fortress. Highly recommended! My favourite walk of the trip was along the Rio Chillar in the Sierras de Tejedas, Almijara and Alhama Natural Park, just outside Nerja. This is not a walk that can be done when there have been high volumes of rain and the river is high! If rain is forecast, flash flooding is possible so don’t risk it. 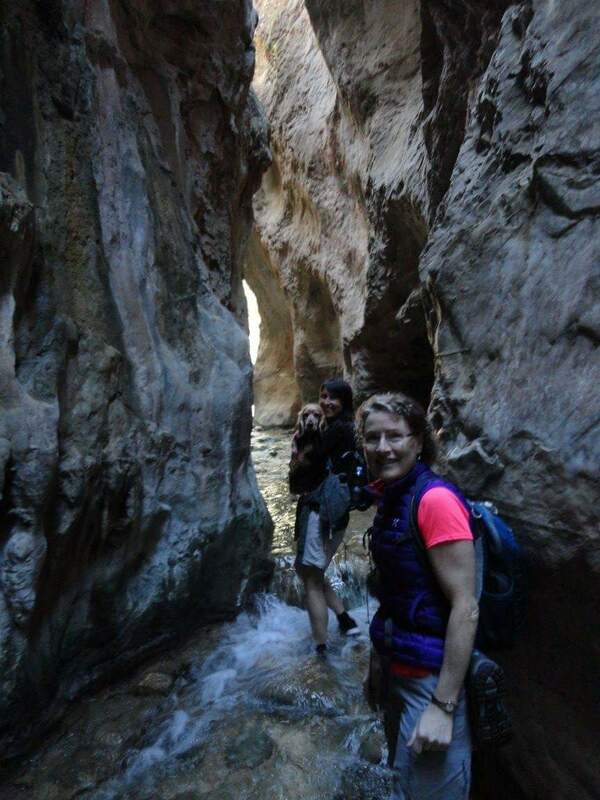 We walked up the Rio Chillar into the gorge. It was AMAZING. At the start the gorge is very wide and, as you progress further up, the river starts to flow and you are surrounded by high rock faces. The further up you go the more waterfalls you will find and little plunge pools suitable for a dip. Pick good footwear and be prepared to pick up your dog! Wear footwear you don’t mind getting wet. Don’t wear flip-flops ““ they can easily fall off your feet and they tend to rub and slip going over the rocky ground (as my poor Mum found out). If you are taking a dog, depending on their size and the flow of the river, you may need to carry them at some points. Yup, Daisy sometimes got a lift. Walking up the Rio Chillar, Daisy needed a little carry when the water got too deep! The walk is not circular so people tend to walk up to some of the bigger waterfalls and back down again. I also did this walk when my parents were visiting and we decided to try to do a longer circular route that we had seen marked in a guidebook. It was marked as a serious walk with precipitous pathways. We thought we were up to it! 6 hours later we made it back but, unless you are feeling exceptionally brave (and don’t have kids or dogs), we would not recommend it. 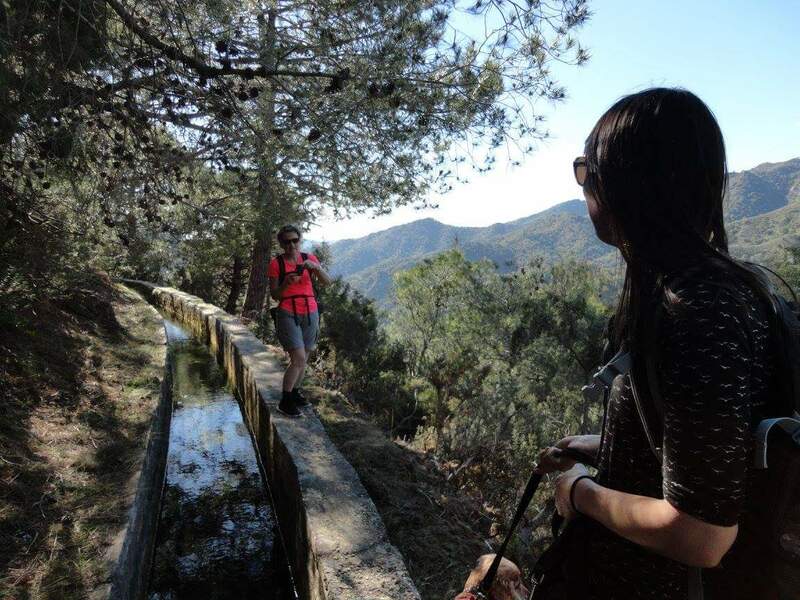 We had to walk for a long period of time along the edge of an old aqueduct. Whilst it afforded amazing views back down into the gorge, it was a very narrow edge that you have to walk along for some time. In places, the edge was broken and the drop down into the gorge was pretty hairy. It was too dangerous for Daisy to walk along it so I had to carry her in my rucksack on my front most of the way ““ not ideal. The start of the precarious aqueduct, before it got too precipitous! I absolutely love the relaxed Tapas and Café Culture vibe in Spain. Food is fresh, tasty and such good value. I love their simple and tasty breakfast too. 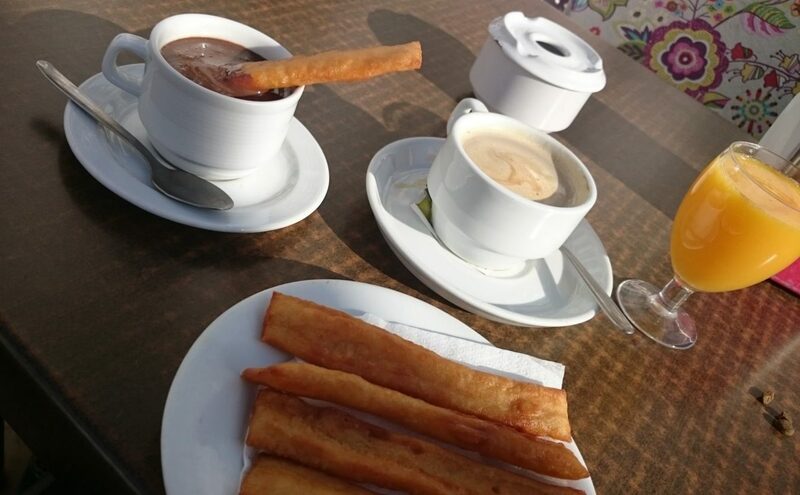 Spanish Churros, like a fried donut stick, with hot chocolate to dip them into. Not at all healthy but delicious. For a more healthy option go for Pan Con Tomate, toasted bread with crushed tomato with garlic and oil on top. Don’t forget to get some freshly squeezed orange juice as well. I will let the photos tell the story “¦”¦. 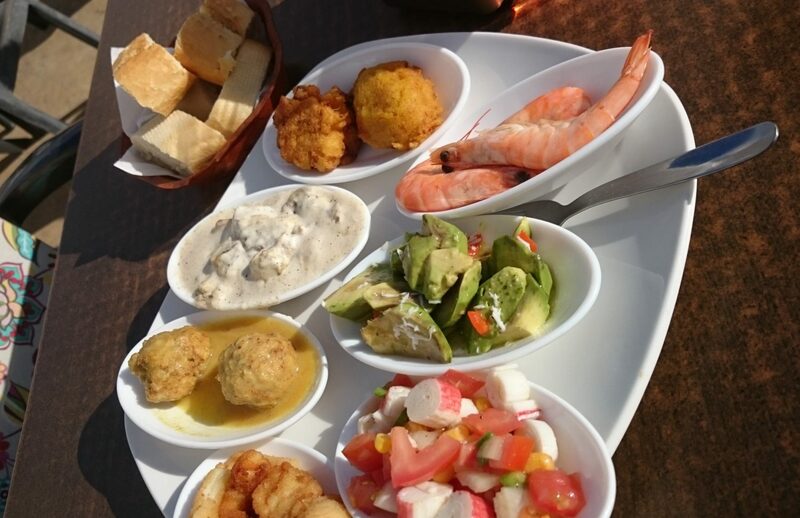 When I stayed in Torrox Pueblos, my favourite restaurant did ten tapas and a bottle of wine for ten euros! Inland Andalucia especially has some really beautiful, traditional white hilltop villages, referred to as Pueblos Blancos. Getting in the car and just taking off to explore is a great way to spend the day. Some of my favourites are listed below. 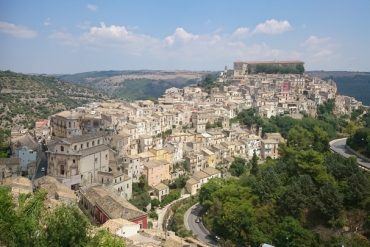 With a beautiful hilltop castle and amazing surrounding countryside, it is worth a stop. The nearby ancient Los Murciélagos Cueva (Cave of Bats) is a recommended attraction. Daisy wasn’t allowed in so we didn’t visit. We just stumbled upon this hilltop town as we spotted it whilst driving through the Cadiz province. It was a great find. 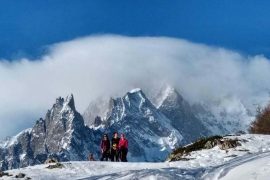 Amazing views, a friendly feel and great food too. Okay, so this is a top tourist destination and in the height of the summer, it will be heaving with coach tours. If you come out of season though, don’t let the touristy side put you off. It is a beautiful white village, has amazing views of the countryside and the Moorish architecture is gorgeous. Take a day to wander the narrow, windy, cobbled streets and find a place to stop for a long and lazy lunch. From Frigiliana, if you have the time, please do try to visit Acebuchal. It is a hidden gem! I am going to do a full post on this place in the future. It is often referred to as the “Lost Village” . It is an absolutely stunning little hamlet, right smack bang in the heart of the Sierras of Tejeda, Almijara and Alhama Natural Park. The drive to the village really is not for the faint-hearted. Honestly! Don’t drive to it unless you are comfortable on a very tight, very windy, very bumpy single track road with very steep precipices into the gorge below. It is so worth the white-knuckle journey though! The village was abandoned for over 50 years after the conflict stemming from the Spanish Civil War. In 1998, a previous resident returned to the Hamlet and he and his family began rebuilding bit by bit. It is amazing when you consider how remote it is and that they didn’t even have water or electricity for a number of years. There are lots of lovely walking trails to take from the Village. I can’t discuss Andalucia and not give a quick mention to Granada and Cordoba. Unfortunately, we never made it to Seville, even though this is often mentioned in the same breathe as these two other cities. Absolutely steeped in Moorish history and architecture with wonderful winding cobbled streets, amazing Tapas and Orange Tree-lined boulevards. They are wonderful places to visit. Soak up the atmosphere and visit the sites. If you have a dog, be aware that many of the gardens and tourist attractions do not allow dogs. Do your research. The Alhambra, Granada’s most famous attraction, understandably does not allow dogs. It is an amazing place to visit though (if you don’t mind the throngs of visitors). Our tip is to visit offseason and get there early! We visited in late winter/ early Spring so the weather was wonderfully mild, perfect temperatures for getting out and about with an elderly but spritely Spaniel. It also meant that the roads, towns and villages were generally extremely quiet. If you are planning on visiting with your dog/s, I would strongly recommend visiting outside of the summer months. It can get extremely hot and, even local dogs struggle with the temperatures at this time of year. 5. My least favourite things about Southern Spain? Okay, so I like to keep it real. Whilst I do absolutely adore this region there are things I am not so keen on and they deserve a mention too. One thing worth noting if you are walking in this area with your dog is the risk of the Processionary Caterpillar. They are active in the Spring and in areas where there are large volumes of pine trees. These caterpillars hatch from, often large, nests up in the trees. When they drop to the ground they form a “procession” moving to their next home. The hairs on the caterpillars are dangerous and when they feel threatened they can puff them towards their prey. A number of dogs have died as a result of these, seemingly harmless, creepy crawlies. If a dog picks one up, or even stands on them and then licks their paws, the hairs can cause a reaction in the mouth. If left untreated the tongue can swell up so badly that it can cause breathing issues and this can lead to fatalities. We did see lots of nests on our travels and a number of processions too. We didn’t let Daisy off the lead in problem areas and we kept a close, perhaps paranoid, eye on the ground. Unfortunately, there is a lot of animal cruelty in the region. 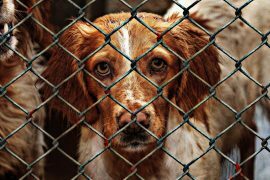 There are a lot of stray and neglected dogs, cats, horses and donkeys. I visited the hilltop town of Mijas. It is beautiful but I wouldn’t visit again as it is famous for the donkey rides tourists can take and the donkeys are notoriously poorly looked after. Each to their own, of course, but I was not a fan of the high rise, characterless big seafront resorts stretching along the Costa Del Sol coastline. I preferred to head inland to find the more authentic, peaceful and characterful places to visit. 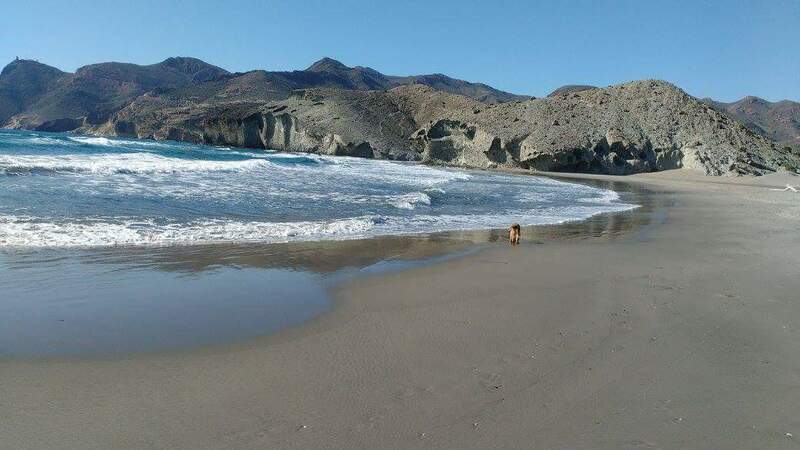 I totally understand that some dog owners can spoil it for others in terms of having proper etiquette on beaches but I was disappointed that many beaches do not allow dogs on them in Southern Spain, even in low season when many of them are deserted. Many owners broke the rules and had their dogs on them anyway but, I wanted to be respectful of the local rules so Daisy and I were not rebels! We did find some quiet stretches where Daisy could enjoy a good run but you do have to get a bit off the beaten track for this. Have you visited Andalucia? I would love for you to share your favourite finds/photographs.